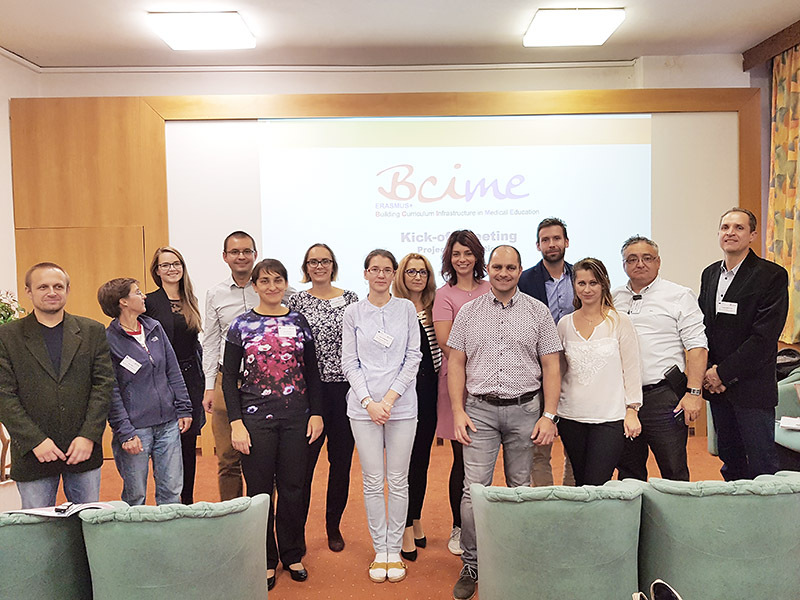 The first coordination meeting (kick-off meeting) of an Erasmus+ project, entitled “Building Curriculum Infrastructure in Medical Education” – with the acronym BCIME and the registration number 2018-SK01-KA203-046318, was organised by the Pavol Jozef Šafárik University in Košice (UPJS) on 8–9 October 2018. The project is a continuation of IBA FM MU’s recent activities in the field of medical education and cooperation with partners from both European and non-European countries. BCIME will deliver methodologies and a unified ICT platform for the optimisation of curricula at medical faculties in five European countries. The following institutions are involved in the project: the Jagiellonian University (JU, Poland), the Masaryk University (MU, Czech Republic), the University of Medicine and Pharmacy of Iasi (UMF, Romania), the University of Augsburg (UAU, Germany) and the Pavol Jozef Šafárik University in Košice (UPJS, Slovakia). The project outcomes have been conceived as interdisciplinary and their principles will be applicable not only at medical faculties, but also across study programmes at universities in participating countries.